Yaron Matras: A Critical Look at Europe’s Policy on Roma (Gypsies). Center for Global Humanities Lecture/Seminar Series, University of New England, 29th February 2016. Yaron Matras: Use and misuse of data on Roma: A comment on the Salford study on Roma migrants. Zeitschrift für internationale Bildungsforschung und Entwicklungspädagogik 38: 29-30. 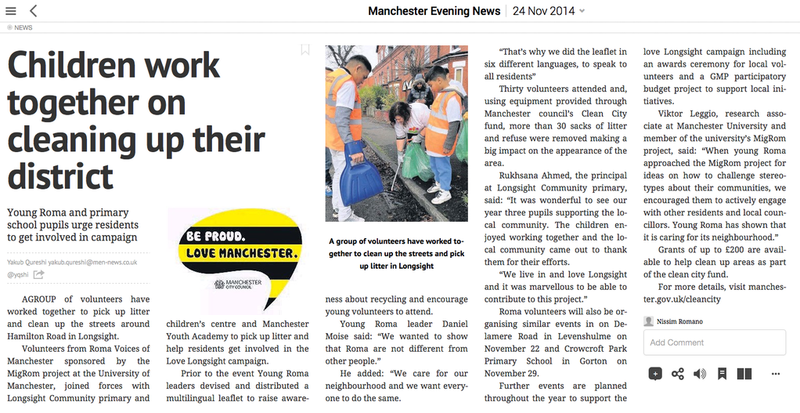 1st January 2014, BBC News: What happened when the Roma came to Levenshulme? 20th May 2013, France Culture, Les Matins: Quel avenir pour les Roms de France?